Описание: Business Objectives - курс делового английского для всех желающих начиная с уровня Low-Intermediate и до Upper-Intermediate. Курс также включает аутентичный материал для аудирования и чтения, ролевой игры и обсуждения, позволяющий высказывать свое личное мнение или свой личный опыт и впечатления. Это курс, который позволяет активизировать деловое общение в очень эффективной форме с использованием дополнительной литературы, видео, специальных газет и журналов. Business Objectives offers controlled grammar practice, systematic teaching of relevant vocabulary, and challenging activities that encourage students to use their own business experience. Vicki Hollett is a graduate of Reading and Essex Universities in the UK, and now lives and teaches Business English in the USA. She has also taught in Japan and Algeria and run numerous workshops for teachers in Europe, the Far East, and South America. 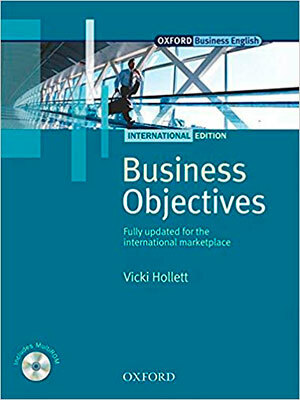 Business Objectives Pairwork is a lower-intermediate speaking activity book to accompany the New Edition of Business Objectives by Vicki Hollett. It can be used in the classroom, for one-to-one teaching, and for teaching by telephone. Business Objectives Pairwork follows the syllabus of the New Edition of Business Objectives. It is divided into fifteen units, each unit containing five or six speaking activities. The material is designed to enable further practice of spoken communication skills, through a varied range of activities that reinforce the topics and language taught in the main course. At the same time. Business Objectives Pairwork is versatile and can be used independently of Business Objectives to supplement other coursebooks and teaching materials at a pre-intermediate level. - Each of the 14 units is based around a broad theme, such as Performance, Trade, and Negotiating, as a means to focus on real business situations. These include formal scenarios inside the workplace as well as social exchanges. The units can be used in any order to give maximum flexibility and to match the specific requirements and availability of students. - Each unit has five sections: 'Did you know?' gives interesting facts as a lead-in to the unit; 'Language Work' gives appropriate language practice; 'Business Skills', helps students develop the skills to deal with real-life business situations; 'Meetings' provides practice in participating in meetings; and 'Table Talk' gives practice in social conversation. 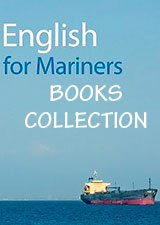 - The emphasis in the Student's Book is on developing listening and speaking skills. A wide variety of speech production tasks help students to sound confident and thus communicate more effectively. Grammar is approached inductively. The grammar sections invite students to analyse their knowledge of structures and develop an awareness of language patterns. The analysis is followed by one or more exercises to place the structure in a business context. A clear grammar summary is provided at the back of the Student's Book. - Authentic reading and listening material from around the world is used to explore different approaches to business and to develop social and cultural awareness, one of the most difficult areas for students at this level. The 'Table Talk' sections encourage students to develop conversational skills on topics unrelated to their work, such as the family and leisure activities. This section includes improvised conversations between native and non-native speakers on cassette, helping students to cope with the hesitations, interruptions and deviations of natural speech.